Amazon.com will acquire Whole Foods Market for US$13,7bn, a bombshell of a deal that catapults the e-commerce giant into hundreds of physical stores and fulfils a long-held goal of selling more groceries. Amazon agreed to pay $42/share in cash for the organic-food chain, including debt, a roughly 27% premium to the stock price at Thursday’s close. John Mackey, Whole Foods’ outspoken co-founder, will continue to run the business — a victory after a fight with activist investor Jana Partners that threatened to drive him from power. The deal sends shock waves across both the online and brick-and-mortar industries. Grocery chains plunged on Friday — Wal-Mart Stores fell as much as 7,1%, while Kroger tumbled 17% — as investors worried that woes will mount in the increasingly cutthroat industry. Amazon and Whole Foods weren’t always seen as obvious partners, but Mackey has been under pressure to find an acquirer after Jana disclosed a more than 8% stake and began pushing for a buyout. That prodding irked Mackey, who has referred to Whole Foods as his “baby” and to Jana as “greedy bastards”. By enlisting Amazon, he gets to keep his job as CEO while giving the stock price a jolt. It jumped 27% to $41,98 as of 11am in New York, bringing it close to the transaction price. Amazon shares gained 2,9% to $992,11. Amazon gets a network of stores where it can implement decades’ worth of experiments in how people pick, pay for and get groceries delivered. The Whole Foods deal is an acknowledgment that it can’t build its own physical footprint quickly enough alone. CEO Jeff Bezos will try to recast Whole Foods’ ailing business, likely starting with upgraded technology, in much the same he has upended book selling, retailing, newspapers and other industries. Amazon previously contemplated a takeover of Whole Foods last (northern hemisphere) autumn, but it didn’t pursue the deal at the time, a person with knowledge of the situation has said. The e-commerce company revisited the idea after Jana stepped in. The transaction also may help Amazon sideline Instacart, a start-up that has delivered grocery orders from Whole Foods stores in more than 20 US states and Washington, DC. The deal would dwarf the size of Amazon’s previous acquisitions. Its biggest announced buyout came in 2014, when it agreed to purchase videogame service Twitch Interactive for $970m in cash, according to data compiled by Bloomberg. The Seattle-based company had about $21,5bn of cash and equivalents at the end of March, the data shows. “Millions of people love Whole Foods Market because they offer the best natural and organic foods, and they make it fun to eat healthy,” Bezos said in Friday’s statement. 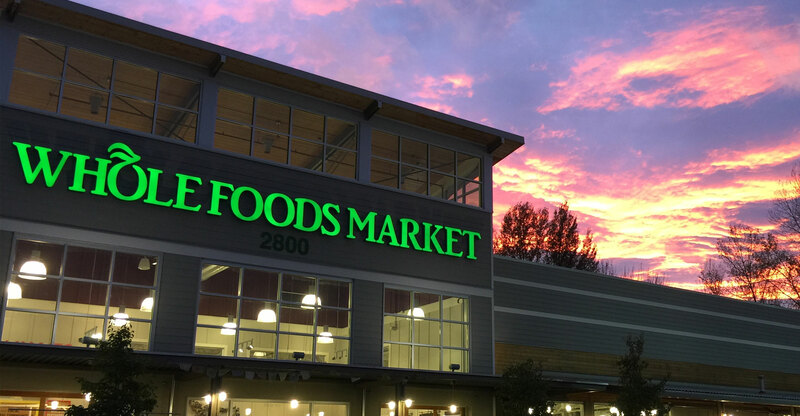 The takeover is slated to be completed in the second half of the year, with Whole Foods’ headquarters remaining in Austin, Texas. That’s my baby. I’m going to protect my kid, and they’ve got to knock Daddy out if they want to take it over. 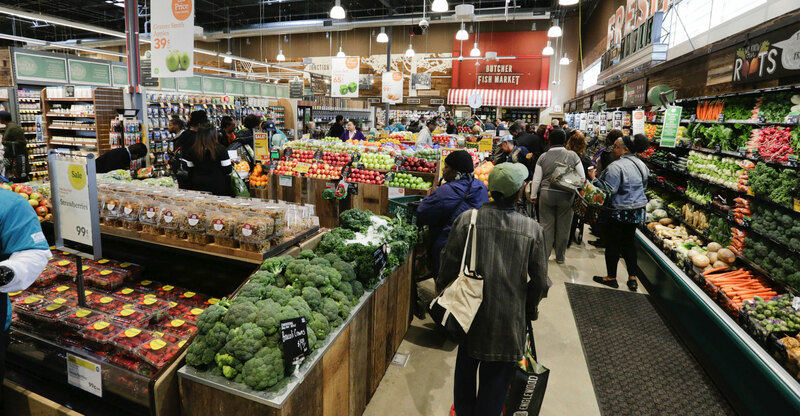 Another bid for Whole Foods can’t be ruled out because Amazon’s $42 price undervalues Whole Foods’ prospects and powerful brand, according to Rupesh Parikh, an analyst for Oppenheimer & Co. Earlier this year, Oppenheimer valued Whole Foods in a buyout scenario in the mid-$40 range. After the deal was announced on Friday, it raised its target price for Whole Foods to $45 from $40. “We believe there could be some money left on the table,” Parikh said in a note to clients. Jana had called for Whole Foods to overhaul its operations and brought in retail and food experts to help foster a turnaround. The company’s same-store sales — a closely watched measure — have declined for seven straight quarters. Whole Foods has more than 460 stores in the US, Canada and the UK, generating about $16bn/year. In an interview with Texas Monthly that ran earlier this week, Mackey chafed at Jana’s campaign. He said the firm was only interested in profiting from a forced sale of Whole Foods, rather than pursuing the company’s mission of “conscious capitalism”.